are you kidding me Boswell? I found out what candy Bryant gave out to kid's on Halloween! This is where I tire of these conversations. There's never any consideration that its against the GOAT QB and GOAT Coach. No consideration of injuries, suspensions, or anything of the like. It's all about Tomlin, and only Tomlin. The Patriots won a Super Bowl trotting WR's out as DB's through the AFCCG and Super Bowl. This is the best Steelers team Tomlin has had. NE is the only real competition in the AFC worth anything. If they can't at least make a game of it against NE, there's a problem. And it's not the talent. That's the real problem - they haven't even been close against NE. It's been a slaughter with patterns I've seen as a fan going all the way back to 2001. TODD HALEY WITH A SMART CALL ON THE GOAL LINE?! They've run that shuffle pass all year long. Apparently no team in the modern NFL can defend it. Maybe it can be their Brady-QB sneak. If the screen to James on 3-6 works tonight, everything is going to work. Packers look dead. And plenty of coaches have managed to at least make games against Belichick competitive. Tomlin hasn't even accomplished that. That's what's funny about the Rex Ryan mention here. He beat Belichick twice in the post-season. He is obviously not the GOAT. Tomlin is obviously a good football coach. He obviously has approached not approached the Patriots correctly over the last decade. And I'm not denying it. But your hubris in stating that Tomlin is an idiot for joking around during an interview is a joke. JuJu scored his first TD from it. Bell and Brown have one as well, I believe. Still madness to see a smart play call on 4th down. Just stop with that crap. Lots of teams can't make it a game against NE. The way you talk about it people would think that NE sneaks into the playoffs at 9-7 barely beating anyone and then blows us out. Vince Williams... Don't care how well he's played this season. I hate him and I'm like 90% sure he'll be a huge reason we struggle against the Patriots. 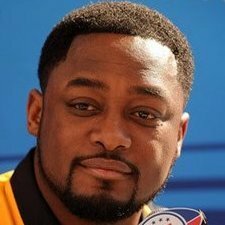 Tomlin gets paid $5-6 million a year to manage those things. He was publicly humiliated last year because he made comments caught on camera by his own player before the AFCCG in which he talked tough, and his team did not back it up. Ryan beat Belichick twice when it mattered most. I don't care where his wins came from. He was with the Jets. That in itself is a miracle. I'm absolutely fine with Tomlin talking tough - but it's really simple. Back it up when it matters. Belichick and the Pats are very damn good. They are not unbeatable. The Steelers of all teams are more awestruck by them than anyone. And that includes Tomlin. He's had no answers. If Tomlin backs up his talk once, he's golden in my book. He can stay here as long as he wants as far as CK is concerned. The Steelers have been right near the bottom of that list. Try and deny it. No team has won more and been more humiliated by NE. I will literally send you $1,000 if you stop making comments about Tomlin throughout every GDT. Looking at PFF's Steelers player's ratings... What a joke that site is. I've been largely silent on Tomlin this year. You better prepare for a week of Tomlin talk, because that's what you're getting. And the highly paid NFL football coach brought it upon himself.